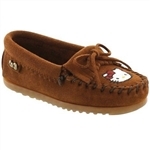 Kid's feet will be cute and cozy with Minnetonka Moccasins and kids cozy slippers for girls and boys. Looking for other kids biker clothing. 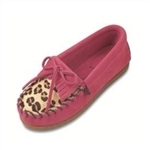 Since 1946 Minnetonka Moccasin has been a staple for the American family. 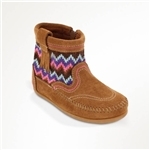 They have expanded their basic kids line over the past few years to include exciting and style new additions in bright and fun colors, that are still comfortable and perfect for play dates.